MICHAEL BONAPARTE and DCU Saints will hope for some divine inspiration to get them through a taxing Champions Trophy schedule this weekend. 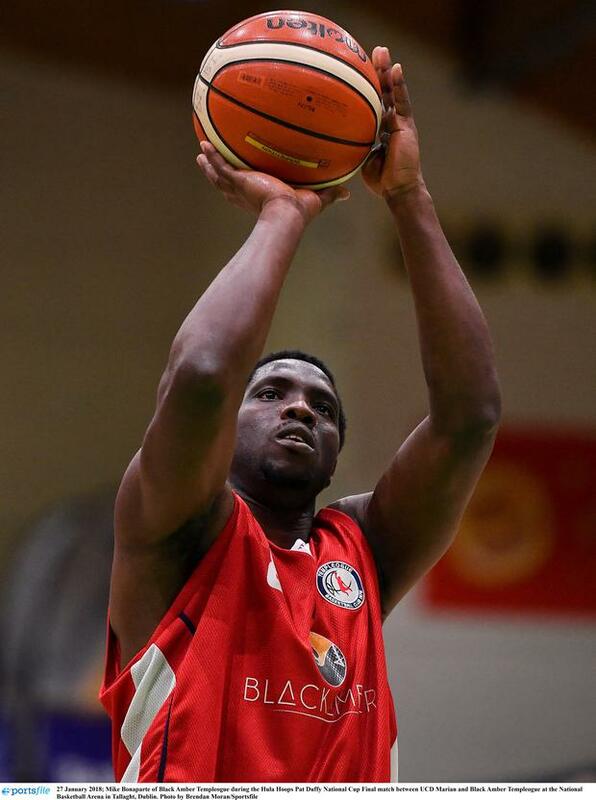 They face his old club Templeogue in the quater-finals tonight at Oblate Hall (8.0pm) to set up a semi-final tomorrow with rested Cup champions Killester, who a received a bye into the next round. On the other side of the draw, Belfast Star play UCD Marian in Dublin (2.45pm) today for the arduous task of travelling to Kerry to face league champions Tralee Warriors tomorrow. “I think it's crazy because the team that's waiting has been rested all week and you're playing Saturday and Sunday,” Bonaparte says. This busy schedule follows another jam-packed weekend after Warriors had to beat Marian twice, both in Dublin and the Kingdom, within 24 hours to win the league last Sunday. Bonaparte (36) is well-used to travelling for basketball having played everywhere from "Luxembourg, Iceland, Mozambique, Ecuador and the Dominican Republic to name but a few." Though prepared to go the distance for the sport, soccer and cricket were the Grenadian's first love before discovering basketball as a teenager. “Soccer was my sport. I also did a bit of spin bowling in cricket. I used to watch a lot of West Indies cricket but not lately,” he recalls. Bonaparte, who has made the capital's north side home since first coming to Ireland in 2007, had enough of commuting across the city following the arrival of his son, Michael junior. "(Switching clubs this season) was to do with the little guy coming along, my son. The travelling over and back to Templeogue along with the fact that I just needed a change," he says. Combining fatherhood and basketball has also had its challenges. "Now it's a lot easier, we get sleep. Prior to that it was a bit tough. He's more joy than anything else," he said. "(Playing with little sleep) is not something you'd wish on most people, let's put it that way. The toughest thing is that you lose that competitive edge more than anything else because you're tired." Though he doesn't wish to "force" basketball upon his son, he hopes his own exploits can inspire him to pick up the sport. Victory against Templeogue tonight would would further that cause. Phil Casey Judd Trump survived a final-frame decider to avoid following Ronnie O'Sullivan in making a shock first-round exit at the World Championship.